K S Electromech offers widest range of Horizontal Accumulators in several models suitable for any type of strip processing line to strip processing line to store 20 mm to 1915 mm wide and 0.3mm to 16mm thick strip. Among these, Reverse Loop Accumulator is world’s latest technology with its unique design to accommodate short length coils. 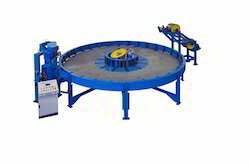 Looking for Horizontal Strip Accumulator ?